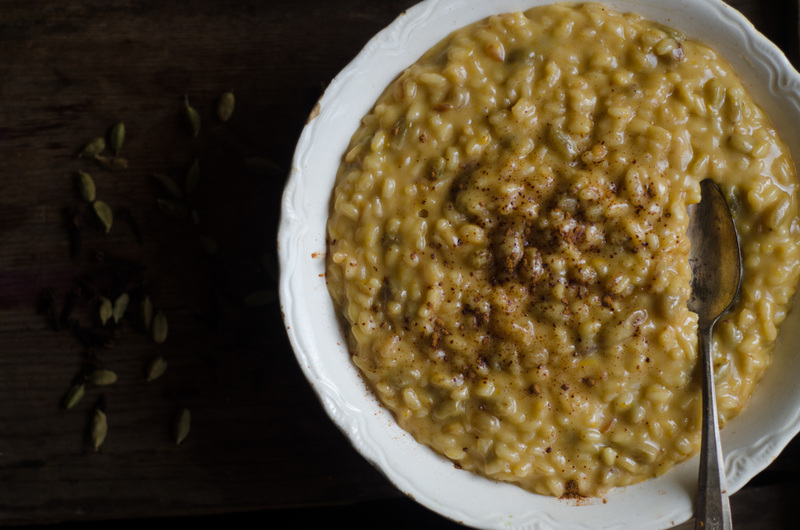 Sweet risotto reminds me of my grandmother, and her closely-guarded recipe for rice pudding. I don’t remember much about my grandmother’s kitchen, only a tiny table, a white stove, real New York frankfurters cooked in mustard water, a crystal candy jar full of Jolly Ranchers, and her rice pudding. She guarded her recipes. After years of marriage to my father, my mother finally proved her worth and eked out my grandmother’s recipe for rice pudding, though I’m not entirely convinced my grandmother included all the ingredients on that little slip of paper she handed my mother. While I don’t have her recipe, and certainly wouldn’t publish it here lest I bring down her fury from the grave, I thought I’d share with you my favorite recipe which is less a rice pudding than it is a sweet risotto, flavored with cardamom and vanilla, and spiked with the pleasant sourness of cultured buttermilk. I’ve always favored whole grains, prepared through souring, soaking or sprouting. That is, until very recently, when I re-read and the work of Ramiel Nagel in Cure Tooth Decay, and began to implement his protocol for our family. His work describes how traditional cultures didn’t necessarily consume whole grains; rather, grains were prepared very carefully by invariably removing (or partially removing) the tough outer bran of grains which contains a high level of anti-nutrients such as phytic acid. Since discovering that my family has a few cavities, we’re taking that protocol more seriously, and paying a lot of attention to the speakers at the Healthy Mouth Summit – a free online summit about alternative dental health that features the perspectives of dentists, doctors, nutritionists and other experts. Along with the guidance of our dentist, I’m focusing more on real food as a mechanism for healing: avoiding eating out, placing special emphasis on organ meats and shellfish, limiting sweets to twice a month. I’ve also taken a much softer approach to whole grains for my family: where we ate brown rice, now we eat white or partially milled rice. Where we ate whole meal flours, now I bake from high-extraction einkorn flour (find it online) or I mill flour freshly in a grain grinder and sift it twice to partially remove the bran before baking my favorite no-knead sourdough bread. And, in this sweet risotto, I use plain white carnaroli rice, and it is divine. For this sweet risotto, I combine cultured buttermilk with whole milk which produces an extraordinarily creamy, but slightly tart dessert. The buttermilk pairs well with the rice and its abrupt tartness is softened by the use of honey and fresh orange juice.You can use store-bought buttermilk, but it often contains additives; I favor making buttermilk at home as it’s impossibly easy. You simply need a starter, which you can find online or in well-stocked health food stores. Whisk it with a bit of milk, set it on the counter overnight and the next day you have cultured buttermilk. Sweetened with honey, sultanas and amaretto, this risotto takes on a superbly creamy texture from the use of whole milk and cultured buttermilk. I favor making buttermilk from scratch to avoid additives (you can find a starter online.) You can also find the spices called for in this recipe online here. Place the sultanas in a small bowl, and cover them with amaretto. Allow them to plump in the liquor while you prepare the other ingredients. Pour milk and buttermilk together in a 2-quart saucepan. Drop the spices into the milk, and stir in honey. Warm the liquid ingredients over medium-low heat for 10 minutes, taking care not to let them boil. Melt butter in a wide skillet over medium-low heat. When it froths, stir in the rice. Stir the rice frequently until its edges become slightly translucent, then stir in the orange zest. Stir in the sultanas and amaretto. Working ½ cup at a time, strain the milk through a fine-mesh sieve into your rice. Stir the rice continually until all the liquid is absorbed, then strain the remaining milk - a ½ cup at a time - into the rice until it is all absorbed. Stir in the orange juice into the rice, and continue stirring until all the liquid is absorbed and the rice is tender and cooked through. Serve warm. Isn’t that interesting, that those whole grains that we are told to eat so much of, come with their share of problems. I can vouch that I do better with non-whole grains with my celiac disease, but I thought that was just unique to celiac. I love, love, love your blog. It is both elegant and classy, while remaining simple and down-to-earth. I am so happy that you mentioned benefits of the removal of the bran and how this is something that was traditionally done. Most people, especially in our current whole grain obsessed world, don’t realize that the bran is a big part of what makes digestion of wheat difficult. They also don’t know that traditionally many cultures would eat bread made from semolina wheat, deeming the bread made from it the most nutritious due to it not having excessive amounts of bran thus making it easy to digest. Nonetheless, great post! I am SO looking up a semolina bread recipe now. Semolina and olive oil. Mmmm. A Year in the Village of Eternity touched on this process too – describing the peasant bread that used a flour that was sifted to remove the bran. I love this. I’ve personally found that the nutrition (on paper) of whole grains isn’t THAT much greater than that of white/milled grains with the bran removed, so in the big picture it doesn’t make any difference in my overall health, particular since I don’t eat many grains on a regular basis. I am gluten intolerant and I have found that on occasion I was able to eat crusty white baguette with sardines and plenty of red wine and have no problem digesting it, or with any sinus infections that like to appear 48 hours after I consume gluten. I can’t say I’m eager to play with wheat right now since it may have impaired my fertility in the first place and right now I’m 10 weeks pregnant. 🙂 Someday! Baguette with sardines? Now that is something beautiful! Sounds great– is there way to make this without using milk? I’m thinking maybe coconut milk? The cultured buttermilk and butter don’t cause me problems, but regular milk usually does. 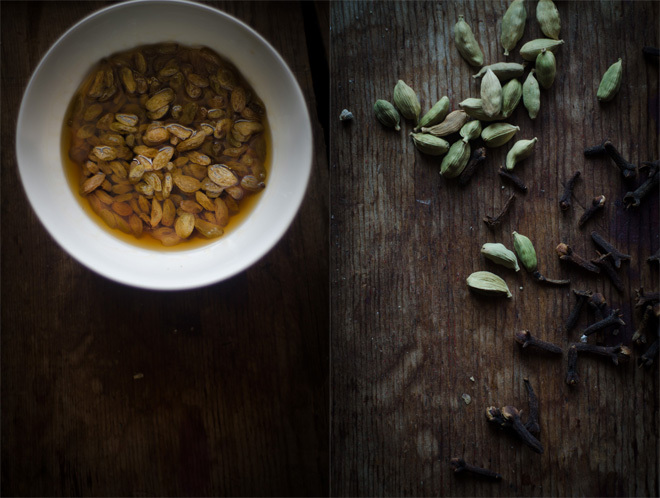 I second the appreciation for your lovely blog… and the confusion about grains and processing. I have been healing my gut (and lost a little belly fat) in part by reducing grains, but I also have believed other scientists saying that a mix of both soluble and insoluble fiber is important for gut health. I thought (until now) that soaking grains was a nice way to both heal the gut and maintain nutritional value. Now I’m confused. Wouldn’t processed grains be harder on the gut and less nutritious/ more likely to be absorbed as simple carbs or empty calories? I think the balance between “easy on the gut” and “too easy to turn into fat” is confusing me. Can you help clarify, please? It IS confusing. And, for me, it’s new too – at least the use of grains without the bran, and I don’t think I’ll ever move completely away from whole grains. Soaking, sprouting, souring removes some, but not ALL the phytic acid. We’re moving toward traditionally prepared grains (that are not whole or are partially whole) because of dental issues, not gut issues. We eat a fairly nutrient-dense diet (except for some slip ups like eating out too much, not monitoring sweets enough and not eating offal/shellfish frequently enough), and take good care of our teeth but we still wound up with cavities. So this is a cavity-healing protocol, not a gut-healing protocol – if that makes sense. Though, after reading Ramiel’s work which outlined how traditional peoples often removed the bran, I found reference to it in other books, too. I’m not entirely sure whole grains are fully traditional. so removing the bran also removed some of the phytic acid, but what is it about the bran that is a problem for teeth? i’d think that by removing the bran, you’re missing out on some vital nutrients? No – ALL of the phytic acid exists within the bran: sprouting, soaking and souring will remove some of it. Because phytic acid inhibits the absorption of minerals, it can wreak havoc on the teeth (or so the theory goes). And there’s very few nutrients in grains anyway, though fermenting it does increase B vitamins considerably. If I remember accurately, In Gary Toubes book, Good Calorie, bad Calorie, he touches on the tradition of milling wheat and rice because it was considered superior and easier to digest, he also explains that later in history (only the mid 1900’s) the move towards whole grains came when the science said that fiber lowers cholesterol. I think it is important to remember though that whole grains are much more difficult to digest because of the bran which slows down the absorption of simple sugars. In General, I think when choosing whole grains vs. milled grains vs. no grains it’s important to consider what your personal health needs are. Not one will be best for all. BTW- I have been reading your blog for about 3 months now and I love it. I have always loved cooking but am only recently taking an intrest in the more traditional cooking/food prep methods. Thanks for the insight in this area. I think you really hit something there: it is SO personal. There’s no one solution for everyone. I have moved away from grains, largely, except for white rise on occasion. No one is more surprised than I am, because I was for years an advocate of whole grains instead of refined. Finding out that bran is the main source of phytic acid in grains is just another nail in the coffin of the bad dietary advice dished out in my growing-up years in the 60s, 70s, and 80s. Remember the doctor who advised keeping a canister of wheat bran on the kitchen counter and adding it to everything? I shudder to think of all the digestive systems he ruined with that advice. In recent years I had cut out rice entirely, then added back white rice because my boyfriend prefers it. 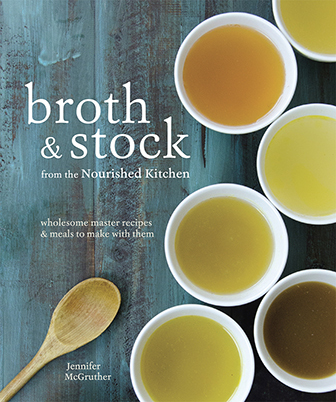 I had cut out bread, then added sourdough when he introduced me to it, but that opened the door back to other forms of wheat, which bloated me and drove appetite and cravings. Having cut wheat out entirely for several months now, when I did a small wheat challenge on two occasions, it gave me a serious stomachache. So, I’m convinced that it doesn’t work for me. I have some rice pasta in my cupboard but don’t eat it much. This risotto does look yummy and so I think I might try it! Thanks as always for your beautiful work. I know you put so much into it. When do you add the sultanas/amaretto? Do you just stir in at the end or are they added during some of the cooking? Also, I have home-made cultured kefir in my fridge all the time made from raw while milk… Just wondering if that could replace the buttermilk or might it be too thick or too strong? Thank you! Love finding a low sugar, gluten-free recipe! What is partially milled rice, and where can you find it? I’m curious, because I, too, am grappling with the brown rice vs. white rice issue. I was grain-free for about a year and ended up with different problems than the ones I started with. After adding grains back in, I feel better, and I’m still unsure about what is best to eat. Partially milled rice can be found online or in Asian grocers, try looking for it under the name Haiga-mai or half-milled rice. It removes the bran, but not all of the germ. It’s tasty. Sounds wonderful. Making note of one of your comments in this about shellfish. Please be careful where your shellfish comes from: anything from the Gulf of Mexico is subject to contain toxins from the oil spill. It is not a subject the media likes to share. Anything from LA., AL., TX., or FL could contain toxins from the Corexit and oil. Women and children are more often effected by this. We’re pretty careful only to consume good quality fish/shellfish from clean waters. Second, I make a big pot of oat congee weekly for us (soaking them in the way Ramiel describes, with my own grain culture). After it is cooked, I run it thru a food mill to sieve out the solids. Would this accomplish the same effect as sifting the bran off your flour. Thanks! Oops, I meant for that last full sentence to be a question. Would this accomplish the same effect as sifting the bran off your flour? Isn’t interesting how circular dietary recommendations are? My husband prefers white Japanese rice so we always kept it around as an alternate “treat” with the staple brown rice I had implemented because I thought I was doing my family a better service. I have noticed that although I am keeping grains to a minimum and especially wheat, (weekends only for the most part) I can eat white rice or a couple slices of a lovely white sourdough made by a local bakery (he uses no yeast and a three day process) without the physical distress caused by whole grain products and wheat products in any form (body aches and joint pain plus muscle weakness). I have come full circle on many alternate (gluten free) grains and grasses as well, usually preferring almond and coconut flours. Have you read The Perfect Diet? White rice is the one grain allowed! I keep thinking of living in Hawaii where white rice is served everywhere and with everything! I am looking forward to trying this risotto very soon. 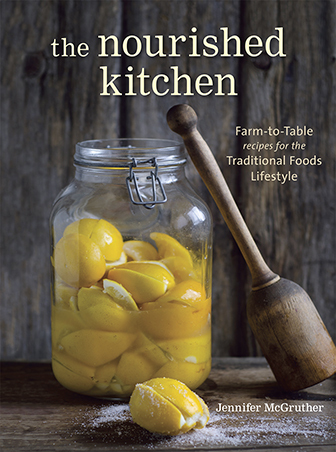 Thanks for posting and thanks for your transparency as you venture down new culinary paths. Thanks for bringing the issue of dental care up. I am new to this whole way of eating… forced into it as an attempt to heal my family’s guts after it became clear gluten makes us sick. However, at my first dental visit after incorporating fermented foods, my dentist/sister said, “what has happened to your teeth… they look awful.” Obviously a sister can say this to her sister, but probably would not to a patient. She was referring to acid effects and I knew right away it was the ferments and so stopped them immediately and went back to probiotics. I have also been following Dr. Ellie Phillips system and have been very pleased with it. I actually think she might agree overall with eating the way this and other “nourishing” blogs recommend but she recommends to be careful to always be aware of leaving acid on the teeth and to end the meals with teeth-friendly foods. This is definitely a journey for me… honestly one I do not have time for… but it continues none-the-less. I am at least glad that you have started a conversation about it. I feel there will be much more to say/learn about this in the future. Ramiel Nagel’s work indicates that healthy teeth are immune to decay; that is, the acid in fermented foods shouldn’t adversely affect your teeth unless there’s something else going on systemically that’s adversely affecting your health and then the health of your mouth. What are your thoughts? First of all he is not a dentist so I take anything he says with a grain of salt… that is just me. Theories are nice but I prefer proof. I suspect, however, that on this he might be right…. to me personally it makes sense that we are meant to consume these very health-promoting foods…. lemons etc, for example. Problem is that most people who have had suboptimal diets might be in the same boat as I am and I would love it if we could all come together and develop more understanding as to how to have our healthy foods and our teeth too! I did not have any cavities, but I wish others to know that even with “good” oral care (ex. I brush at least twice a day and floss daily) you can be seriously harming your teeth by consuming acids incorrectly. I am excited to see what the future holds in this area of thought. Thanks for responding. Have a great day! BTW I know Dr. Ellie’s system will raise concerns for those of us who are health conscious…. it certainly does for me but it is the best I have found currently…. as far as actually working…. that is part of the reason I am looking forward to progress in this area. I have a suspicion that you’re right, and that the truth may lay somewhere in between – you know? I’ll check out Dr. Ellie’s system, as I’m not familiar with it at all. This suggestion came in thru a traditional nutrition elist I am on, re: healing teeth. I am trying it & thought I’d pass it on in case it is helpful to you or others here. I’ve been taking the oil & rinsing it as quickly as possible, as I don’t like the taste. But I am trying this now. I’m Chinese and grew up eating white rice, but started using brown rice a while ago. I don’t like it very much because it’s hard for me to digest, so I only use short grain brown rice because it’s a little softer. However, I’ve long wondered about why people in China eat so much white rice and still seem to be healthier overall. Thank you for sharing about half milled rice; I didn’t know there was such a thing. I made this for a Sunday morning breakfast! It is so delicious and makes the home smell delectable! Thank you for inspiring us not just with nutrition but with creativity! My 4 sweet kids and hubby thank you! I’m curious what you think about preparing this with coconut milk or some other non-dairy milk. I would love to try it but I am still breastfeeding and my son does not respond well to dairy. I made this using four cups of almond milk and two cups of coconut cream. It was delicious, despite missing the tangy flavour of the buttermilk. What do you think about the blood sugar issue when using white and starchy grains? I’m always thinking about this for my own children because of how they react when they eat too many sugars/starches and not enough protein? I’m confused about the use of cultured buttermilk in the recipe. Won’t the ‘culture’ be wiped out when heated? Oh my word. This was amazing. Actually didn’t have honey for once so I used coconut sugar and maple syrup, added a pinch of salt, put some rosemary in to ‘marinate’ with the cranberries\cherries (my sultana substitute- clearly we need to go to the grocery), and used soy\coconut milk. BUT SO TASTY. Everyone should make this.